I’ve heard a lot of mixed things about this book ever since it first came out, so it’s easy to say I was a bit hesitant to read it myself. To be honest I wasn’t sure whether to read this book at all… But since I already had an e-copy and it came up as one of my TBR jar picks, I decided to just give it a go and see how things turn out. Love Letters To The Dead didn’t end up being a particularly bad read, but I wasn’t blown away by it either. While the whole ‘chapters in the form of letters’ idea seems rather original, it does look quite similar to The Perks of Being A Wallflower. That isn’t necessarily a bad thing, but as always with a comparison there is a winner and a loser and things aren’t looking good for this Love Letters To The Dead. What I did enjoy is that the main character Laurel writes her letters to famous deceased people that are related to whatever happens in the story: Kurt Cobain, E.E. Cummings, Janis Joplin, Amelia Earhart, Amy Winehouse… Those elements (especially the music and poetry references) were a nice touch to an otherwise quite repetitive story. Because that is what the rest of the plot basically is: a repetition of the same letter idea where Laurel is trying to figure out how to deal with the death of her sister. Laurel blames herself for her death, although she takes a long time revealing why that is. This was actually quite annoying, both because it made the story drag and the actual plot twist was not that great either. (Why did she never tell anyone before?!) In short, while I liked some things of the story, there were other elements that made me enjoy this story a lot less than I would have hoped. Laurel has been struggling to deal with the death of her sister May, and even decided to go to a different high school to avoid the stares full of pity. Laurel blames herself for May’s death, but isn’t ready to tell the truth about what happened yet as much as she doesn’t really know how to grieve for May either. An English assignment marks the beginning of a journey where she starts writing letters to famous dead people about both her feelings and what happens to her during her days. Slowly Laurel starts to accept the past and how life can go on without May… Starting high school, new friendships, learning to live with the new family situation, falling in love; life does go on even after such a terrible experience. But how do you really mourn for someone you haven’t forgiven yet? Can Laurel finally make peace with what happened? I was almost afraid to read Love Letters To The Dead after hearing so many mixed opinions. And while I didn’t think it was a particularly bad read, I wasn’t blown away by it either… Some elements like the music and poetry references were really interesting, but others (repetitive plot, ‘big secret’ plot twist) made me enjoy this story a lot less than I thought I would. Would I recommend this novel by Ava Dellaira? With all those mixed reviews out there, I guess I would leave that up to your own decision. 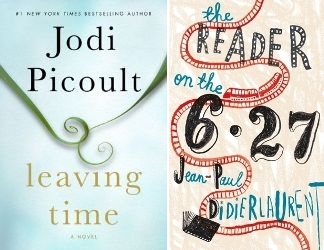 I have been reading Leaving Time by Jodi Picoult, which is this months The Revolving Shelf book club choice. The other book I’ve picked up is The Reader On The 6.27 by Jean-Paul Didierlaurent, a story originally written in French I’ve chosen as my translated title for the yearly Bookish Bingo challenge. 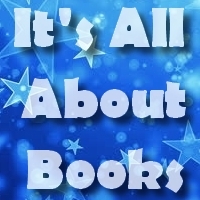 * The first book I managed to finish is The Improbable Theory Of Ana And Zak by Brian Katcher. It was without doubt a very entertaining read and I loved Zak’s chapters with all its awkward, geeky and funny moments, but I wasn’t so charmed by Ana… Still definitely worth reading though. 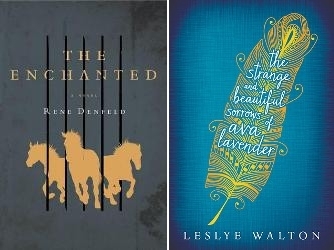 * I’ve also finished The Strange And Beautiful Sorrows Of Ava Lavender by Leslye Walton, which I had mixed feelings about. I don’t think the story actually lives up to the expectations after seeing the gorgeous cover… Some of the prose is more than excellent, but I would have liked to read more about Ava herself and I felt the story lacked cohesion. * I also finally read Daugher Of Smoke & Bone by Laini Taylor. I expected to love this story and it started out that way, but this ended up being another of my unpopular opinion titles… Once the insta-love moment happened between Akiva and Karou, I think I stopped enjoying this story. Why o why did a story with so much potential have to be turned into a sappy romance story?! * The last book I finished this week is Love Letters To The Dead by Ava Dellaira, which was my latest TBR jar pick. Not as good as I hoped, but not bad either. Hero by Belinda Crawford is my newest ARC that I am really looking forward to read, since it brings the promise of being a YA sci-fi novel without any sappy romance scenes… Which seems to be a rare thing in this genre nowadays. 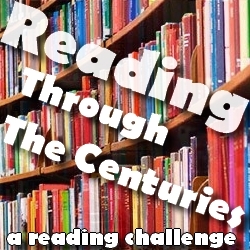 I also want to try to read another classic this month, and The Time Machine by H.G. Wells is on the top of my list. 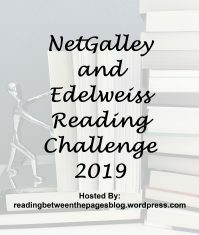 I still need to read See How They Run by Ally Carter as well… And Stars Above by Marissa Meyer is my newest TBR jar pick. I’ve actually read a few of these novellas in this collection last year, so I will only be reading those I don’t know yet. 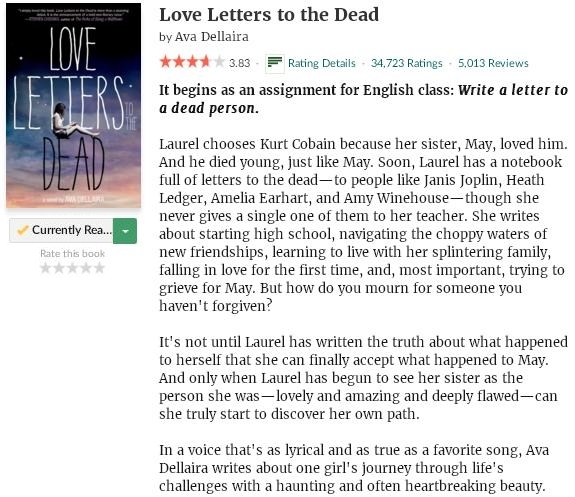 To be honest, I wasn’t so sure whether to read this book since I’ve heard a lot of mixed things about it, but since it’s my latest TBR jar pick I decided to read Love Letters To The Dead by Ava Dellaira anyway. Especially since it will be my 25th! TBR jar pick when I finish it… It’s still too early to tell if I like it, but hopefully I will be able to read more later today. I started reading The Enchanted by Rene Denfeld on a whim and while the prose looks really promising, I’m not so sure about the story itself so far. I’ve put it on hold as long as I’m reading The Strange And Beautiful Sorrows of Ava Lavender by Leslye Walton, which is interesting so far even though a bit strange and I’m hoping the story will end up being just as good as the gorgeous cover. 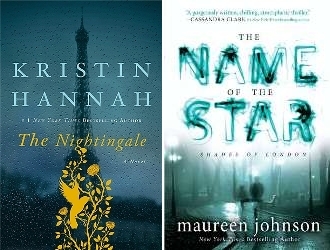 * The first book I managed to finish is The Nightingale by Kristin Hannah. It actually took me a lot of time to finish this book and while the story is really intriguing, I wasn’t so sure about the characters… Some of their actions and dialogues didn’t feel all that ‘natural’ (especially Vianne and Isabelle), although it did become a lot better later on in the story. That said, it is still a really good WWII historical fiction read and definitely worth reading. * I’ve also finished The Name Of The Star by Maureen Johnson, which was my latest TBR jar pick. Although it wasn’t what I was expecting, it’s without doubt a very entertaining paranormal thriller with a Jack The Ripper twist… I will be trying to pick up the sequel soon. Basically my list of books I want to read next is the same as last week. Oops! My next read is going to be Daughter Of Smoke And Bone by Laini Taylor; I know, I have been saying this for the last few weeks but this time I’m going to pick it up for real! 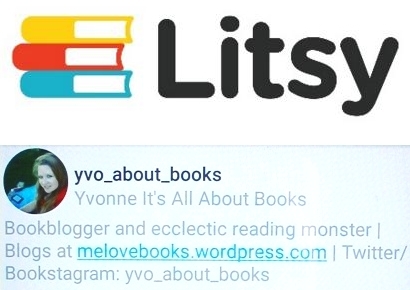 I also want to read The Dream Thieves by Maggie Stiefvater, although I should probably get a copy of the fourth book first… And I want to read See How They Run by Ally Carter as well. My newest TBR jar pick is Love Letters To The Dead by Ava Dellaira, although I’m not sure if I would actually like that one since I’ve heard a lot of mixed things about it.